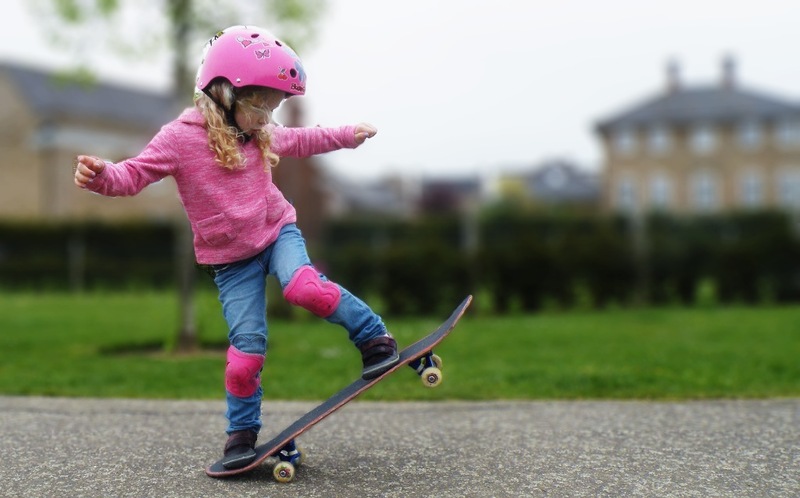 Tabs got into skating totally by chance, one day she just decided she wanted a skateboard, and after a session at Empire Skatepark shortly after her 5th birthday, was hooked! She didn’t even know anybody who skateboards, but was just drawn to the idea!! Tabby is a very determined rider and will try things over and over again to get them right, but she’s also very relaxed about it and doesn’t get annoyed if she can’t figure something out right away! 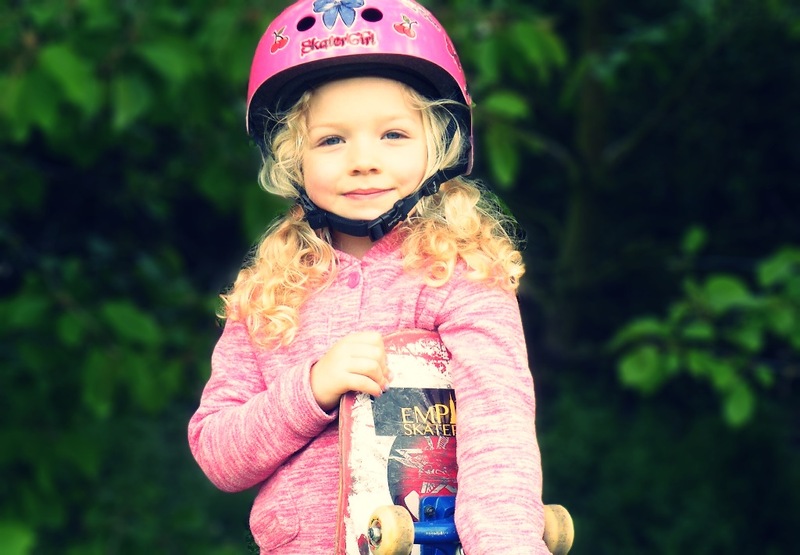 Tabs just loves the friends she has made at the skatepark, her favourite people to skate with are the kids who skate at the group sessions on a Saturday morning. There is a big age range but somehow she slots her 5-year-old self in very well, and spends a LOT of her time chatting and watching everyone’s new tricks! Lewis Hall, Harry Wilson & Lee Blackwell have been amazing help, every time they see Tabby they encourage her so much. She loves those guys! We’ve heard Tabitha is REALLY looking forward to the All Girl Skate Jam in June… and we look forward to meeting you too Tabby! Set up: Second hand bits & pieces put together by the guys at the local skatepark! What do you love about skating? It’s really fun, there are loads of things to learn and all the friends I’ve made at the skatepark. Other hobbies: Reading, gymnastics, doing the monkey bars, watching movies.